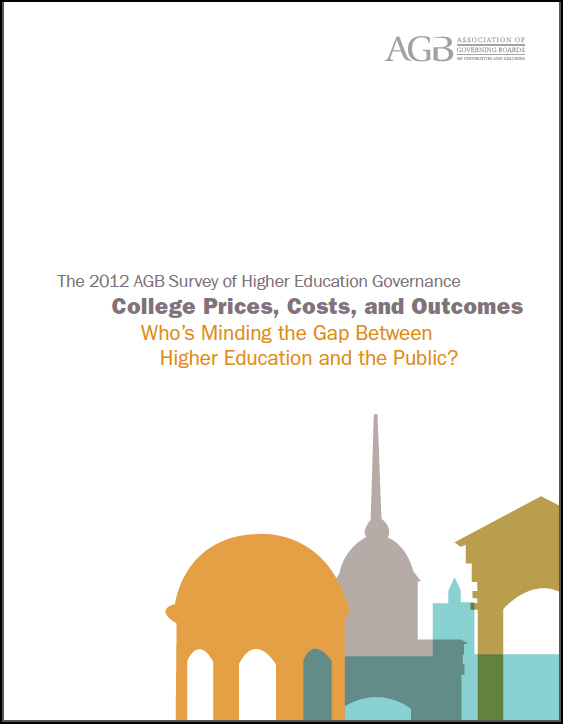 The Association of Governing Boards of Universities and Colleges has released its third survey of higher education governance, The 2012 AGB Survey of Higher Education Governance. College Prices, Costs, and Outcomes: Who’s Minding the Gap between Higher Education and the Public? The survey of more than 2,500 board members of both public and independent universities and colleges focused on board member perceptions about college prices, costs, and outcomes and the often considerable disparity between board members’ views about their own institutions and their thoughts about higher education in general.